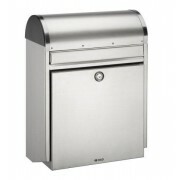 See Mailbox Solutions for Multiple Occupancy Mailboxes. 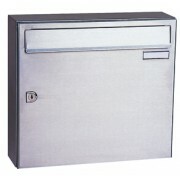 This mailbox retro-fits to the inside of the door and utilises the existing external letterplate. 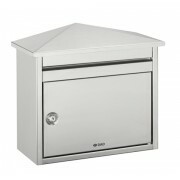 It has an integral anti theft baffle and lockable door. 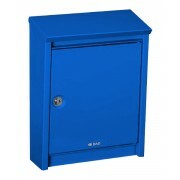 The Anti-Arson feature is achieved by the use of a flexible tube containing a fire extinguishing gas which fits into the box. Contact with a heat .. 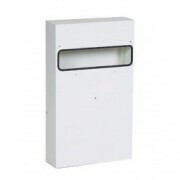 The B100 series of boxes is suitable for wall mounting and designed to hold A4 mail with front loading and retrieval. 460 x 640 x 160mm .. 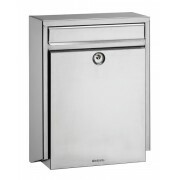 The B100 series of boxes is suitable for wall mounting and designed to hold A4 mail with front loading and retrieval. 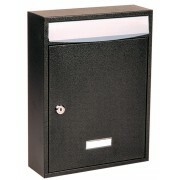 460 x 340 x 160mm ..
A popular wall or post mounted box with a slot opening under a rainproof flap on the top. 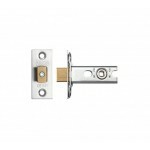 Lockable door for retrieval. 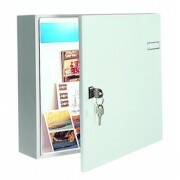 408 x 308 x 150mm ..
A large capacity box ideal for receiving magazines and catalogues etc. With an integral newspaper holder on top. 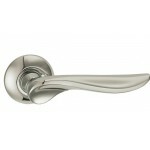 560 x 400 x 212mm .. 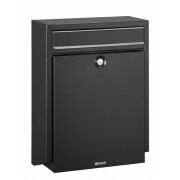 Similar to model B100 but with larger capacity and extra wide opening. 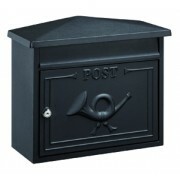 460 x 402 x 201mm ..
A quality traditional style weatherproof box suitable for wall or post mounting. 455 x 415 x 195mm .. 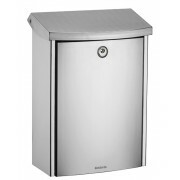 Similar to B100 but with larger capacity. 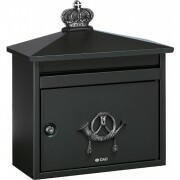 470 x 350 x 210mm ..
A traditional style box without the motifs of the B210 model. 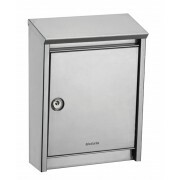 395 x 415 x 187mm ..
A more secure box with patented security slats to make it more difficult to remove mail through the posting slot. 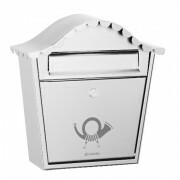 This box has a unique slide to protect mail from damage when being posted. 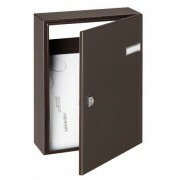 377 x 435 x 203mm ..
A box designed to hold A4 size envelopes vertically. Front loading and retrieval with lockable door. 340 x 260 x 85mm .. 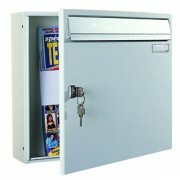 The "City" range is designed to fit on the back of the door with a mailslot at the rear and a lockable door to the front. All boxes in this range will take A4 mail. 330 x 370 x 100mm .. 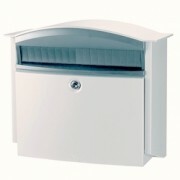 The "City" range is designed to fit on the back of the door with a mailslot at the rear and a lockable door to the front. All boxes in this range will take A4 mail. 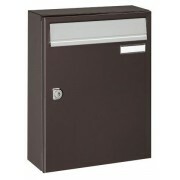 330 x 260 x 100mm ..
A very popular classic design of wall or post mounted box. 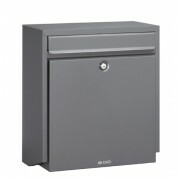 315 x 350 x 105mm ..
A heavy duty cast aluminium postbox with an extra wide slot and pitched roof. 350 x 410 x 185mm ..